The 13 Spiritual Benefits of Chocolate — Cacao Ceremony Time! 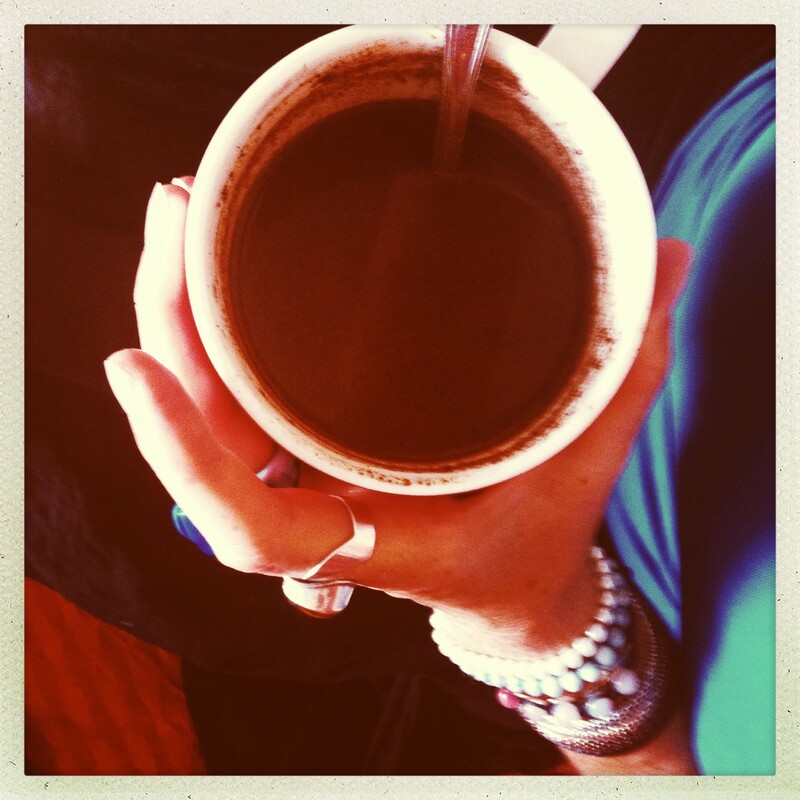 The 13 Spiritual Benefits of Chocolate — Cacao Ceremony Time! Do you know that chocolate is actually medicine? It is one of the most powerful, gentle facilitators, teachers and guides on the planet — and it is delicious too! The Ancient Mayans and Aztecs used Chocolate for Spiritual and Ceremonial purposes. In its purest form (unlike much of the chocolate available in the mainstream), it is a powerful assistant for ‘inner work’, creative guidance and so much more. Read on to discover how this delicious superfood can help you! ‘Oooheee — look, she’s having one of ‘those’ experiences!’ Lol..
Do you know what I mean? Anyway, I digress, I discovered this magic a few years ago on a trip round the world and it totally changed my life. Below, I share my journey and 13 Spiritual benefits of using chocolate for ceremonial and spiritual purposes. Most of the chocolate available in the marketplace is full of sugar and additives. The beans are often hybridised, or low quality, so it doesn’t have a powerful effect. The chocolate that I work with facilitates a deeper journey, and intense feelings of BLISS. The next Ceremony in London is on January 8, 2017 — click here to register — I would love to see you there! Stronger connection with the higher self (intuition, soul, God, Goddess etc.). This leads to an enhanced connection with your own power and truth; your divinity. Chocolate is a powerful facilitator allowing you to delve into your pain. Once you FEEL your pain (sadness, anger, grief etc. etc. ), you won’t keep manifesting situations to feel these feelings. You live a freer, happier life, without constantly being triggered. Releasing these emotions allows more light, love and magic into your life. This is ‘Heaven on Earth’. Powerful, otherworldly and deep meditation enabling you to connect with your spiritual nature, accessing the wisdom within. Meditation is much easier and more beneficial; silencing the mind becomes easy — hence the space for healing occurs. It calms the left brain chatter, and allows us to delve more into that ‘no mind’ space of bliss. Profound embodiment of new learnings. This allows you to feel in your body what you know in your head. The teachings you might already be aware of are ‘understood’, you suddenly ‘get’ them on a deeper level. For instance, the teaching that we are all love, and love is all there is. You might logically know this, and want to believe it and live it, but you wonder HOW to embody it? Is it true? Chocolate aids the pathway to living and FEELING this love, this bliss, the state of being which IS FLOW, ONENESS and LOVE…..
Feelings of oneness, enlightenment and ecstasy. This results in more love in your life, leading to more effective manifestation and a more powerful, familiar connection with your magnificence and spiritual capacities. When you access this state; bliss, love, the vortex, the ‘zone’, flow, whatever you want to call it you can manifest what you love. You also enter into the state where what you love, comes to you! Your lover, clients, abundance, vibrant health — you name it. More enhanced, balanced, connected male & female energy. Male and female energies are within everyone. When these energies are in balance, you live a harmonious life magnetising all you love TO you. This integration also leads to enhanced effectiveness as the divine creator and super manifesting machine that you are, in essence. Connects your left brain & your right brain!!! More effective, deeper, profound, easier yoga and chi kung practice. Your practice improves on every level; physical, mental, spiritual, emotional. This is probably the case with other practices too (aikido, kick boxing etc.) but I have yet to try other — so let me know! A deeper, stronger connection with ‘the light’, the new, higher dimensions, raising your vibration. More clarity, ideas and connection with your life purpose. Clarity on your talents, skills and how you are here to serve — you easily connect with your creative abilities; writing, painting, dancing, music or whatever floats your boat really. Flow is the one thing that those who are successful in business experience. Whether ‘spiritual’ or not. From this state creation, and abundance…. FLOWS! 1. FUN — The Reason We’re Here! Chocolate is a gentle, powerful feminine force. It is the force for the new world. In fact ‘power’ is a better word than ‘force’. By surrendering to the essence and energy of Chocolate, you can step into the higher dimensions. It facilitates a deep Shamanic experience of ‘being in the world but not of it’ or ‘having a foot in both worlds’. You become the Ascended Master on earth… bringing Heaven TO Earth. It shows you how you can shift your perception so life can be fun. That is what we are here for, to have fun! This was the learning I got when I lived in Hawaii and I swam with the wild dolphins almost every day. They kept telling me (telepathically), FUN FUN FUN. However, it took me about 5 years to master the teaching… in fact I’m still getting my head around it. We’re here to have fun, if it’s not fun, don’t do it, or MAKE IT FUN! Join us in January, start your year off the best possible way, click here to register. It takes place in London on January 8, 2017, from 2 pm. Well, if you think that tobacco, coffee and alcohol are drugs, then I guess so. Anyway, I digress, I discovered this magic a few years ago on a trip round the world and it totally changed my life. Below, I share my journey and 13 Spiritual benefits of using chocolate for ceremonial and spiritual purposes. Most of the chocolate available in the marketplace is full of sugar and additives. The beans are often hybridised, or low quality, so it doesn’t have a powerful effect. The chocolate that I work with facilitates a deeper journey, and intense feelings of BLISS. The next Ceremony in London is on January 8, 2017 -I would love to see you there! Just click here to register. Messages From The Dolphins (the most intelligent of mammals). BREATHE … HAVE FUN … LOVE … CONNECT … FLOW! The importance of these messages has been communicated to me recently in my own work and through witnessing what others gain in ceremonies and one to one sessions. It facilitates the clearing of deep psychological, emotional, and spiritual blocks. It allows one to get to the root of any emotion or even any physical ailment, to discover why they have it and in turn feeling the emotion related to it; subsequently healing the original dis-ease and releasing it. The number thirteen is a powerful number; the number of the Goddess. During the patriarchy, we were led to believe that 13 is unlucky as it is the number attributed to the power — the gentle power of the feminine. When the patriarchy came to the fore, it was ruled as ‘unlucky’ because they wanted us to fear the power of the Goddess and women in general. It represents the new world of love and peace which is being created right now. Back Story — How I discovered the magical, spiritual, medicinal qualities of chocolate! I arrived in Guatemala at 11.11 on 11/11/12 feeling VERY curious, and a little afraid. It was very synchronistic that I landed at those times, the flight was delayed and as I flew in, I was greeted not only by these (very significant) numbers but also by 4/5 bolts of lightning — at eye level! This was a sure sign that this was probably not going to be an ordinary adventure!! The numbers have many meanings (click here to check them out). After arriving in Guatemala and spending some time in Antigua, a really beautiful city, and World Heritage centre, intuition, and a very dear friend guided me to buy a ticket to Lake Atitlan. I did so, and travelled the very next day. 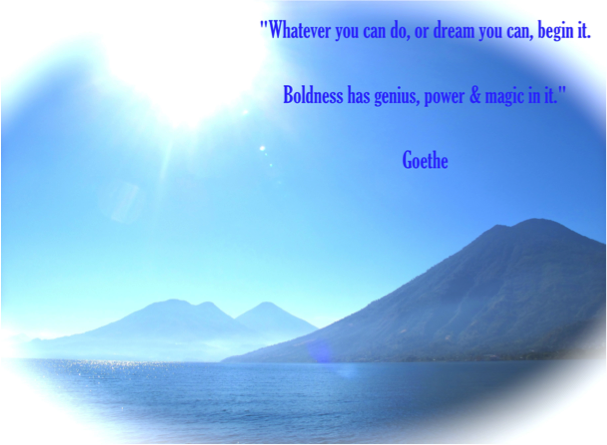 I arrived in San Marcos, a haven of healing portals in the Highlands of Guatemala. I still felt the fear. I had no idea why I was there and as I acknowledged my fear, and total submersion into the unknown, it was soon transmuted after I asked my favourite question; ‘What would I love?’ I actually can’t remember my answer, but I have a few ideas. Anyway, soon after (minutes), I met a wonderful lady who told me about ‘The Chocolate Shaman’ and his ceremonies. That was day one in San Marcos, day two I attended my first ceremony! I had no idea about the magical properties of chocolate and that the Ancient Mayans and Aztecs used it for Spiritual and Ceremonial purposes. People from all over the world gathered in circle, to drink cacao, and drop from their head to their heart. They experienced healing, while having fun and journeyed deep within to a place where all their answers lay. The Chocolate Shaman initially connected with the Spirit of Cacao nearly 10 years ago. She told him that Cacao would be ‘The Food for the Shift’. This started his journey of discovery, and ended up with him using Chocolate in its purest form as a medicine, to open others hearts, and return people to their innate power & magnificence. I spent some months going to Ceremonies and learning about chocolate and surrendering to the ‘stuff’’ that I needed to let go of. It was totally life-transforming for me, and the path that I ‘thought’ I was going to take from then on, totally changed. I chose to add Sacred Chocolate to my Shaman’s Toolbag and hold ceremonies — well actually it was all totally intuitively guided. I invited a friend to come to my first one — and I loved it. From then on, people asked me to hold them, they got the people to come, they got the venues, all I needed to do was turn up! Now THAT is flow! I was honoured to have been invited by The Spirit of Cacao to share her magic — her gentle, yet powerful guiding ways all over the planet. 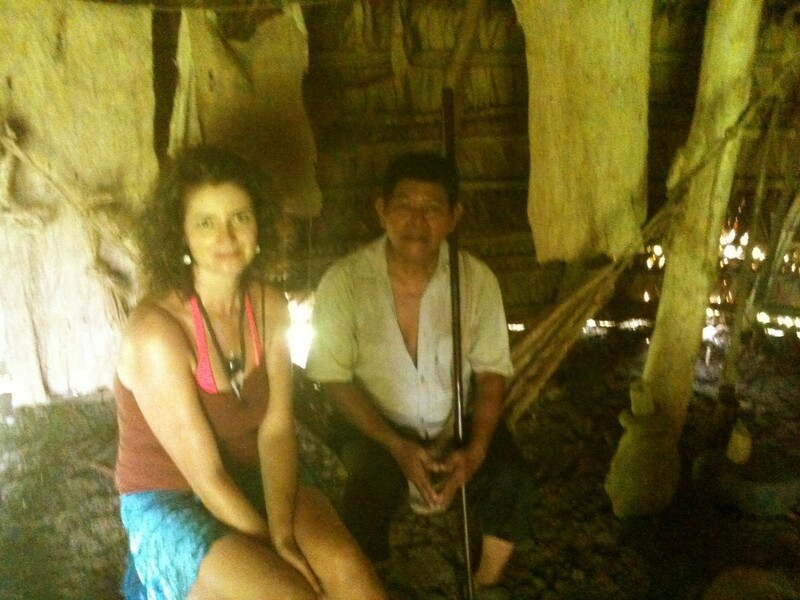 Since then, I have continued to build a strong connection with The Spirit of Cacao as the powerful teacher, facilitator and guide that she is. My experiences since then confirm that Chocolate truly IS the food for the shift. I have seen so many transformations, and people discovering their purpose, joy, confidence and walking the path their soul called them to take. In my ceremonies I use my Healing, Intuitive Coaching & Shamanic tools from a 16 year professional adventure into the unknown, raising the mists of my own beliefs and assumptions and becoming more of who I was born to be. I’ve been creating more and more of the life I love. Through that, I’ve been guiding others so that they not only create a life THEY love, but also go on to teach others to do so too. Sharing the magical secrets of alchemy and the elixirs of life worldwide! The use of Chocolate has taken my work and the results in others lives to another level. It creates a beautiful cauldron of love, allowing what needs to be released to transmute — thus allowing more room for extra doses of light, love and magic. During Chocolate Ceremonies, people connect with deep feelings of bliss, love and joy — their FLOW! They sometimes journey through a variety of emotions which are stuck — these may have caused illness, repetitive patterns, conflict, confusion, lack of abundance, love and basic lack of joy and fulfilment in their lives. They gain deep realisations about their purpose, the meaning of life and the direction their soul is calling them to take. There’s often wondrous ‘aha’ moments on why certain things have been a perceived ‘problem’ and how, in fact, now they can see that it’s their greatest gift. With this knowledge, the journey forward is more empowered without the old ‘story’ but with a renewed awareness of the gifts they’ve been granted, even through the story! This fresh start empowers them to step into their power in a way they’ve never before experienced (often with them using Chocolate in their work). The planet is changing, WE are changing and there’s a need for a great number of teachers to become guides for the rest of the planet. There are a lot of pain bodies to be soothed and transmuted, and I’m working with the next wave of teachers. As Eckhart Tolle said, dealing with the pain body is one of the most important, and much needed jobs of the current years. Apart from the fact that Chocolate is a magical medicine, it also has a lot of positive health benefits. It is a superfood, it’s delicious and it’s also an aphrodisiac! Since my discovery about the magical uses for Chocolate I journeyed to Hawaii & Canada where I held Ceremony, but I also journeyed to Costa Rica and I met tribes who still use Chocolate for these purposes. They also use it for initiations for new born babies, teenagers and pregnant women. If you would like to find out more about my Ceremonies and events with Sacred Cacao email angel@souldiscoverycoaching.com or simply click here to register for the next available Ceremony in London in January. Please feel free to share your comments, stories and feel free to share this blog with friends and through your social networks. If you would like to attend a ceremony, retreat, or even purchase cacao, complete your details on the pop up menu or complete a contact box on this website and we will be in touch with more info. To register for the next Ceremony click here, or complete one of the contact boxes and we will keep you informed. Originally published at Soul Discovery.